Welcome to the acclaimed community of Bridge Valley! A new build without the 12 mo wait. Don't miss out on the $50,000 dollars worth of upgrades on this immediate occupancy show stopper. Clearview Homes builds this home today for $749,000. 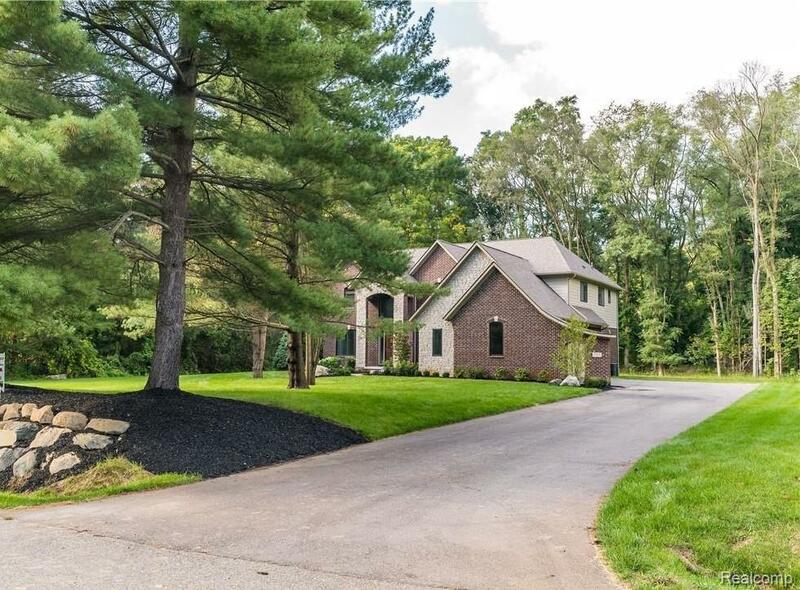 This "Lexington" model w/these incredible features includes a 1.5 acre lot & open floor plan. Perfect for entertaining or family time. Hardwood floors throughout. Formal dining area w/wainscoting. Main level has large office/sitting rm. The gorgeous gourmet kitchen comes complete w/42" cabinets, island w/overhang, granite countertops, double wall oven, gas cook top and hood above; stainless appliances. The great room has a gas fireplace and tons of natural light. Main level mud room leads to the 3 car garage. Soaring ceilings in the great room w/amazing views from the catwalk. The dining room has doorwall looking out to a private backyard. Super sized master bedroom w/double W/C a bonus room w/heat. Reverse Osmosis sys and plumb in base for 4th Bath. IDX provided courtesy of Realcomp II Ltd., via Wilhelm and associates, Copyright 2019 Realcomp II Ltd. Shareholders. Real Estate listings other than those of Wilhelm and associates are marked with the Broker Reciprocity logo and detailed information about them includes the name of the listing brokers. Information deemed to be reliable but not guaranteed. Any use of search facilities of data on the site, other than by a consumer looking to purchase real estate, is prohibited. Last updated on 2019-04-24.